This holiday season, give the gift of great wi-fi to your family. eero is the world’s first whole-home WiFi system. Cover your entire home with strong wi-fi that rivals business class systems at a fraction of the price. eero is the only true mesh network, designed for the home. Start with one eero unit and add more as needed to cover every inch of your house, inside and out. Forget about dead spots far away from your cable modem, eero is the answer. Great WiFi makes all your smartphones, tablets, computers, connected TVs, thermostats, speakers, and doorbells work better. Call BL Audio and Video today to get the most out of the your internet service at 734-956-0332. BL Audio and Video Sonos Christmas Special! Save $100 on a Sonos 5.1 Surround Sound System. Purchase a Sonos Playbar, Sub, and either a ConnectAmp/Speaker combo, or a pair of Play1’s. Installation available at an additional cost. Call 734-956-0332 today for this last minute special! Now is the time to get ready for the NFL playoffs in style. Upgrade to a new flat panel from Sony or Samsung. Go 4k now and see your favorite team in all its glory. Flat panels up to 85”, projection systems up to the size of your wall, see football and everything else like you never have before. Then, add a Sonos 5.1 surround system for fantastic audio and all of the other Sonos goodness. You will never watch TV, movies or sports the same way again. Here's to Brian K and his new Audeze EL-8 Open Back Headphones with custom balanced cable and Pono player. Many hours of enjoyment await! Congrats to Mick F. on his new Audeze EL-8 closed back headphones. Should make that long flight a little easier! I’m pleased to announce to you that LH Labs has released the follow-up to their award-winning portable DAC & headphone amp, Geek Out V2. Geek Out V2 is a super-powerful (1000mW) portable DAC/amp that plugs into your computer’s usb port to bring new life to your music. It features a fully balanced circuit topology as well as the latest ESS SABRE 9018AQ2M DAC chip, which makes the Geek Out V2 the most capable and powerful portable DAC ever made. I’ve made a deal with LH Labs to get you access to their pre-order webpage. You’ll get 25% off the MRSP of $299 when you pre-order today. You only need to pay $1 to make your reservation. You’ll pay the remainder prior to shipment, which will start in July. We are now dealers for a very exciting line of products. One of the fastest growing areas of audio is personal audio. We are talking about headphones and the electronics that go along with them. we are happy to announce that we are now authorized dealers for the full line of Audeze headphones and electronics. Audeze is a high end manufacturer of open and closed back over the ear headphones. Follow the links to learn more about the various models available. The new EL-8 series brings many of the features of the high end LCD series at a more affordable price point. Each series has a variety of open and closed back offerings to satisfy any listener. These headphones are fantastic for personal listening at home. Many recording engineers and DJs are using Audeze for mixing and mastering the tracks that we listen to on a daily basis, Read the reviews here, here and here for more information. We have LCD-XC and LCD-2 phones available for demo with Neil Young's Pono player. Call 734-891-6110 for an audition, or fill out the adjacent form. Much is happening at BL Audio and Video this spring. Now is the time to start planning for any outdoor audio or video systems. Call today for a consultation on outdoor landscape audio or outdoor video. From backyard movie parties, Red Wing playoffs outdoors on a weatherproof flat panel or giant projection screen or just high quality music, now is the time to plan and install for an awesome summer. Our landscape series is a totally scalable outdoor speaker system that delivers perfectly-even coverage and unbelievable sound quality throughout any sized space. Described by one critic as outdoor sound to “knock their socks off”, the landscape series provides jaw-dropping sonic performance from small satellite speakers and below-ground subwoofers that are hidden completely out of sight amongst plants and under foliage. The landscape system can go from pleasant background music, to rocking the house, your choice! Easy music selection from your own library to Pandora, Sirius, Spotify and many other services directly from phones or tablets makes your outdoor music experience easy and exciting. Weatherproof flat panels are available up to 65" that can be mounted under eaves or gazebos, or even fully exposed. BL Audio and Video can also design and install permanent or temporary outdoor projection systems for that old time drive -in feel. Your yard will become the entertainment center of your home for your family and friends. The kids will love it, the adults will want it and you can have it! Call 734-891-6110 or fill out the adjacent form for a consultation today. Available installation times are filling up. Turn your yard into the oasis you have always dreamed of. You won't want to go anywhere else! Save $100 on a Sonos 5.1 Surround Sound System. Purchase a Sonos Playbar, Sub, and either a ConnectAmp/Speaker combo, or a pair of Play1’s. Installation available at an additional cost. Call today at 734-891-6110 for this last minute special! Well, really its already here. Time to think about saving energy and dollars this winter. And one of the bet ways to do it is with a Nest Thermostat. is wasted due to excessive heating and cooling or incorrectly programmed thermostats. Wouldn’t it be great if there were a thermostat that could learn how to avoid all this waste? From now on, this is a thermostat. I have been slowly accumulating electronics for the past 7 or 8 years. Anything from flat panels replaced by newer models, AV receivers that aren’t up to current standards, remote controls that have been abandoned, CD and DVD players,speakers, you name it. Most of these pieces are pretty much worthless. Too old to have any monetary value, damaged, obsoleted by new technology, any number of reasons that they are headed to the scrap heap. But once in a while, a gem or two will turn up. Our main TVs are past their prime plasmas from Fujitsu and JVC. The Fujitsu was top of the line when new and still has one of the best pictures ever. The JVC is a workhorse that doesn’t seem to want to quit and has a very good picture. I just had a turntable placed in my hot little hands and that really got me thinking. I know there is a renaissance happening with vinyl. What if I were to gather up several of the pieces I already have, add this disk spinner to the pile and start listening to actual albums again? Lets see, I would need some kind of preamp and amplifier. Check. I have a still beautiful Marantz Integrated Amp that was replaced by a fancy new AVR. I would need some nice speakers. Check. I have a pair of Monitor Audio bookshelf speakers that were replaced by another type of speakers. I would need a source. Well, of course, Check again. That turntable. Plus I have more than one CD player and I can always add one of my Sonos connects as well. Hey, what do you know, I have a two-channel audio setup again! Its been at least 25 years since thats happened. So now, without spending any dollars, I can relive those days of vinyl heaven. Oh wait, I guess I’ll have to buy some records, but that is a small price to pay for the pleasure of listening to some great music the way I grew up listening to it. On big, round platters spinning at 33 revolutions per minute. Anyone have any old records laying around? This should be a fun project, I will have to post more after I actually listen to some analog music! Do you have poor cellular reception on the road, at home or at work? Ever experience dropped calls on the road, at home or in the office? Tired of slow data rates on your smart phone, tablet, data card or modem? Are you just out of reach from the nearest cell signal? Then boost your cell signal. BL Audio and Video is a certified dealer and installer for Wilson Electronics cellular booster systems. Our cellular signal booster systems overcome these problems by amplifying weak cellular signals. Our cell phone signal boosters are able to pick up weak signals from a cell tower and transmit them to your cellular device, and then transmit a more powerful signal back to the tower. 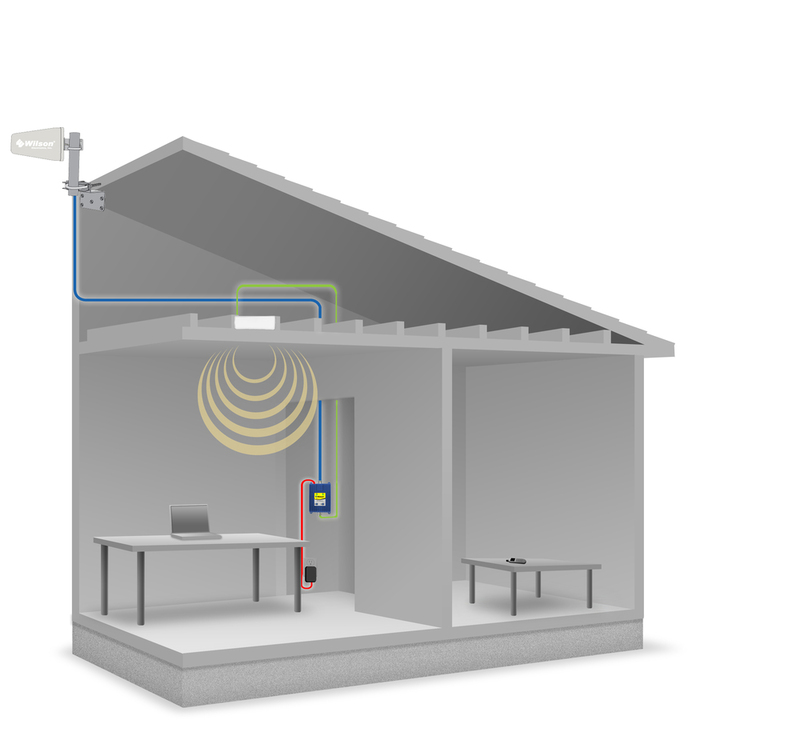 An outdoor antenna is mounted to receive the existing cellular signal, the booster is installed inside the building and an indoor antenna is mounted to broadcast the improved signal throughout the hoe or office. Never worry about dropped calls or slow data downloads again. BLAV can install cell boosters for homes, businesses and even your car. Call us now at 734-891-6110, or fill out the contact form on this page to learn more. Now is the time to get that new Sonos system ordered and ready for install. With four versatile performers – PLAYBAR, SUB, and a pair of rear speakers – you’ve got immersive 5.1 sound. And with it? The power to play anything and make it sound amazing. Still time for outdoor systems this summer! Even though the summer seems to be flying by, there is still plenty of time to get an awesome outdoor audio and or video system installed! Our landscape series of speaker systems will fill your large or small yard with incredible music. Add an outdoor TV and you can take your living room outside. Call or fill out our contact form today and you could be enjoying incredible music in your own backyard. New line of products from BL Audio and Video! BL Audio and Video is happy to announce that we are now full line dealers for Sonos products. Check out the easiest to use and most versatile whole house music system on the market today. Click on this link to go to the Sonos site. But first, let me tell you what Sonos is all about. The Sonos Wireless HiFi System allows for the streaming of music from internet sources, in multiple rooms within range, via wi-fi. Control of the system is available with apps for iPhone, iPad and Android devices. There are two main types of players in the Sonos Music System: all in one speakers and components. Components connect directly to unpowered speakers or to an amplifier/receiver, which allows existing speakers to become Sonos rooms. All-in-one speakers allow any room with a power outlet to play audio. The Sonos ConnectAmp is a powered component that can connect to any existing speakers, the Sonos Connect can act as a source in an existing audio system, the Play 3 and Play 5 are all in one speakers and the Playbar is a nine speaker self amplified sound bar for television installations. There is also a wireless Subwoofer that connects to any all-in-one speaker or amplified component. Play music from pretty much any online source, including Pandora, Spotify, Last FM, SiriusXM, and others, stream directly from your iTunes library or your phone, listen to hundreds of AM and FM stations from around the world and locally, all controlled from your own phone or tablet. Call now at 734-891-6110 to learn more about Sonos and to schedule a free consultation. BL Audio & Video is proud and excited to announce our newest offering, the VS Elite Golf and Multi-Sport simulator by Visual Sports Systems. Turn any room in your home into an interactive golf simulator experience. Whether you have an existing rec room or a new home under construction, we will custom design a Golf simulator to fit your space. Whether you're installing in a basement, in a garage, on carpet or on hardwood, we will ensure that your golf simulator avoids any room obstructions, protects your finishes and matches your interior. We've got the largest selection of golf and multi-sport simulation software in the world and you can have it in your home and experience it like nothing before. At BL Audio & Video we excel at custom-designing our installations to seamlessly integrate into your home. No matter the size of your room or your budget, we'll match our commercial-quality golf simulation technology to enhance your home and excite your life. The VisualSports Golf Simulator is one-of-a-kind. One system puts you on the green, on the court, on the mound and even on the ice. Come rain or shine, you can play golf, hockey, soccer, basketball, baseball and football. Our system puts all six sports and more than 20 unique game-play modes right at your fingertips. From the armchair quarterback to the serious athlete, you'll not just play, but practice, interact and improve your game without even stepping outside. Stay in shape, up your game, or just play away - the choice is yours. Custom designed to uniquely fit into your home, the multi-media screen can also be used to watch larger-than-life movies, sporting events and to make video games more life-like than ever before! The VisualSports Simulator is the only complete simulation, gaming and entertainment system you and your family will ever need. This is the debut of the new site for BL Audio & Video. It is still a work in progress. I have to fix some pages, edit and add some more photos, add text to services pages and a few (hundred) other things. But. If I don't get this exposed, I'll never get it together. So here in all its hopefully future glory, is the new home of BL Audio & Video. Fill out the contact form on any page even if you aren't looking for anything. It will help me test the site. Please make comments here on the blog or on the Facebook page. Please like the Facebook page and tell your friends. Thanks for looking and I'll try not to spam your feeds too much. We here at BL Audio & Video are very excited about the newest addition to the Sonos family. The Sonos Playbar. The Playbar is a three channel soundbar that provides left, right, and center channel speakers for a surround sound system, plus it features all of the standard Sonos magic. Full access to your iTunes library, on-line services like Sirius XM, Pandora and Spotify and, with the addition of two Play 3s and a Sonos Sub, you can have an awesome surround system with wireless connectivity. Call us today at 734-956-0332 or use our contact form to learn more about the Sonos Playbar and the entire Sonos line.